Tesla CEO Elon Musk announced on Twitter Sunday night that the company would break ground on its new Chinese factory on Monday. Musk said the plant, known as Gigafactory 3, will produce up to 500,000 Model 3 and Model Y vehicles for China and other nearby markets when it is completed in 2020. Initial construction, however, planned to be completed this summer, will allow the factory to begin producing Model 3 sedans by the end of the year. Musk said it will reach volume production of the Model 3 next year. 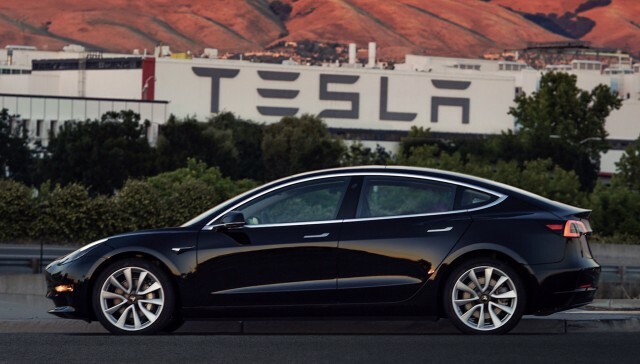 The said the plant will produce “affordable versions” of the Model 3 and Model Y, while more expensive versions, such as the Model 3 Performance, along with the Model S and Model X will continue to be produced at the company’s main factory in Fremont, California, and exported to China. Musk has also said the company needs the Chinese factory, outside Shanghai, to reduce tariffs that China imposed on imported cars in retaliation for President Trump’s tariffs on Chinese steel. Tesla’s next model, the Model Y small SUV, was originally slated to go into production in 2019, but the company currently has no factory space to produce it. The company has also promised a new roadster, as well as a pickup and a semi in coming years. The factory is dubbed Gigafactory 3, following the company’s designation of its giant battery factory—the largest factory under a single roof—in Nevada as Gigafactory 1, and a Solar City factory to produce solar cells outside Buffalo, New York, as Gigafactory 2. The company secured the site in Shanghai’s free trade zone in October. Pictures of the bare site, and videos of construction of a fence around it have been circulating since November.